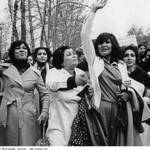 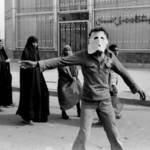 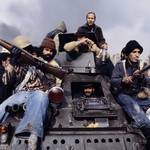 As the Shah’s regime became increasingly repressive, popular discontent grew, and mass demonstrations erupted in 1977. 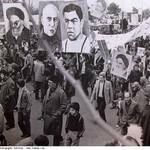 Diverse opposition groups came together in opposition to the Shah. 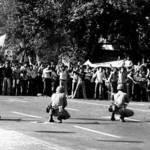 In September 1978 riots, strikes, and mass demonstrations developed into a state of virtual civil war, and martial law was imposed. 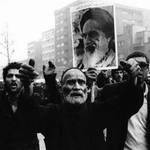 After months of escalating protests and bloody repression, the Shah announced on 16 January 1979 that he would leave the country for a short time. 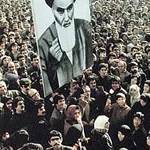 A government headed by Prime Minister Shapour Bakhtiar assumed control, but he did not win the support of Khomeini and the main opposition, who were committed to the overthrow of the monarchy and the establishment of a new political order. 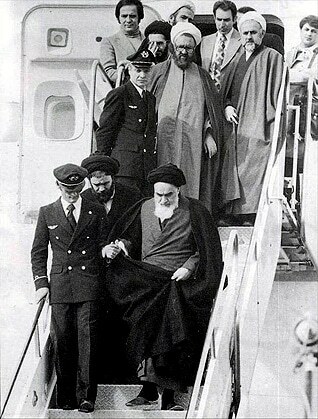 On 1 February 1979, Khomeini arrived in Tehran from exile in Paris. 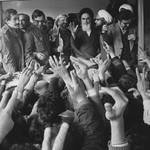 Millions of his followers awaited the ayatollah at Tehran’s Mehrabad airport. 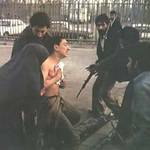 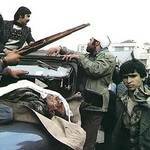 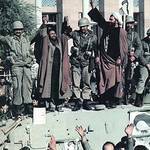 Ten days later, on 11 February, after guerrillas overwhelmed troops loyal to the Shah in street fighting, Iran’s military declared itself neutral. 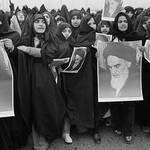 On 1 April 1979, following a referendum, the Islamic Republic of Iran was proclaimed.